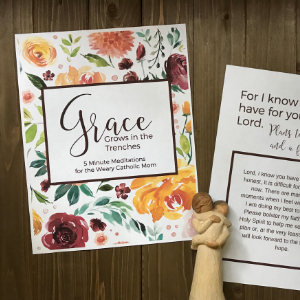 In Grace Grows in the Trenches: 5 Minute Meditations for the Weary Catholic Mom, you’ll find inspiration from Scripture and holy men and women who knew what it meant to live one’s life for another. Honest reflections, heartfelt prayers, and thoughtful questions will guide you to your rest in the heart of God. (This is a PDF product. 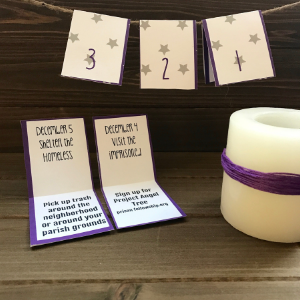 You will receive a digital download upon payment). Sound like something you could have written? Believe it or not, those words were penned by St. Zelie Martin, the mother of St. Therese. She is absolute proof that grace grows in the trenches of motherhood, in the daily trials and tribulations of raising saints for God. 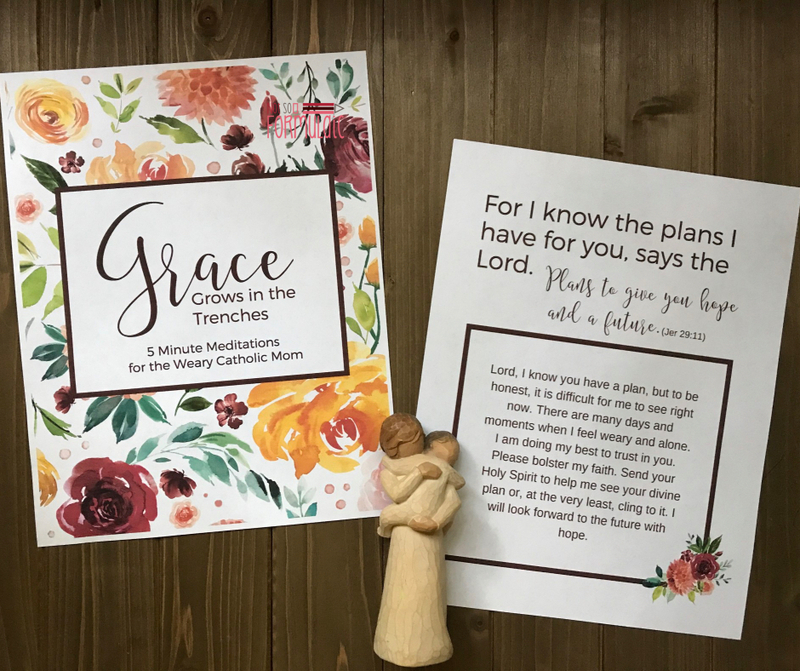 In Grace Grows in the Trenches: 5 Minute Meditations for the Weary Catholic Mom, you’ll find inspiration from Scripture and holy men and women who knew what it meant to live one’s life for another. 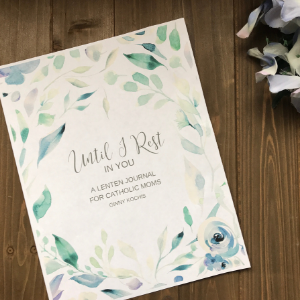 Honest reflections, heartfelt prayers, and thoughtful questions will guide you to your rest in the heart of God. (This is a PDF document. You will receive a digital download upon payment).